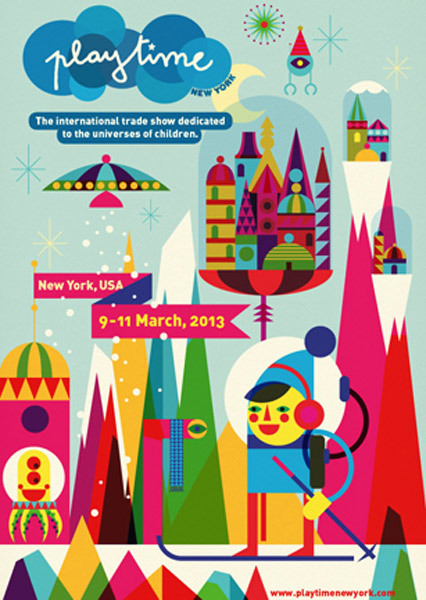 The fabulous Playtime trade show is headed to the city that never sleeps – New York! We love Playtime as it skips from Paris to Tokyo and now New York, enveloping new designers and brands into its fold and showcasing them to the world. Spread over three glorious days, the Playtime New York trade show allows us to discover what’s new in the world of children’s furniture and decor and, of course, what lies ahead to be on trend in the fashion stakes, from local and international designers. Stay tuned as we look forward to revealing our cream of the crop from the melting pot that is all things completely cool – Playtime New York!